This morning there was a wonderful celebration at the Tampa First Seventh-day Adventist Church. 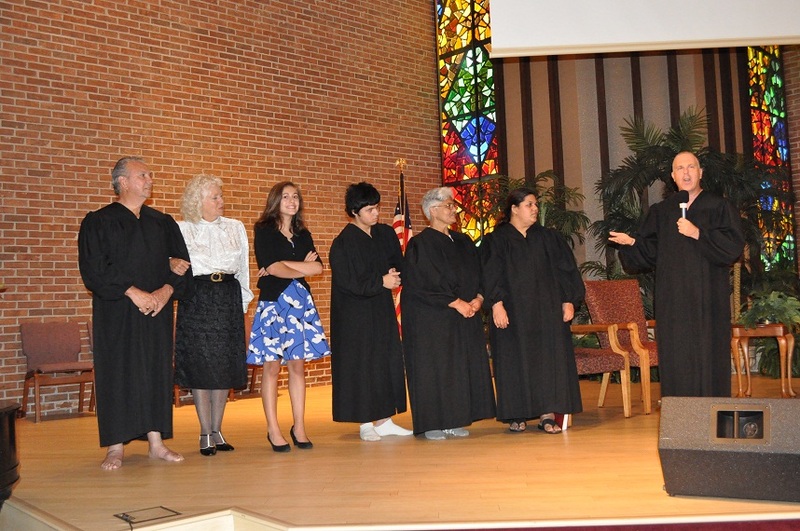 Five precious souls gave their lives to Jesus through baptism and profession of faith. Please enjoy their amazing stories and pictures. 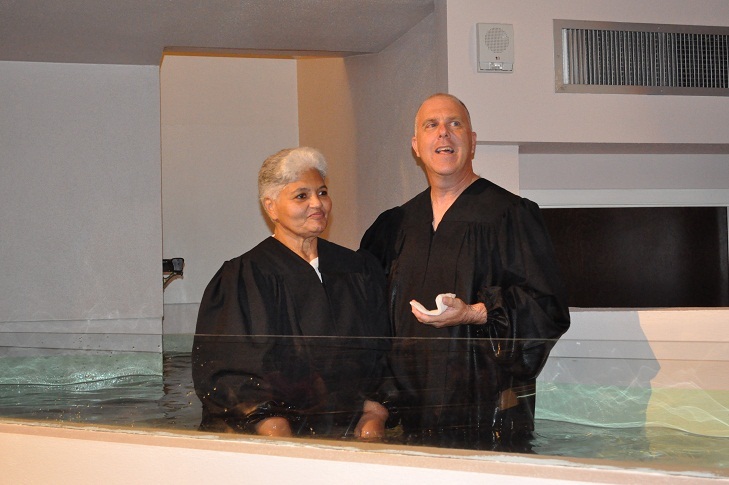 Francisca has returned to her true love, and was baptized with her daughter Cindy, and grandson Julio. She is so excited to be back in the Adventist Church family. While doing studies, I ask my students to do two or three lessons a week, hoping they will do at least one. 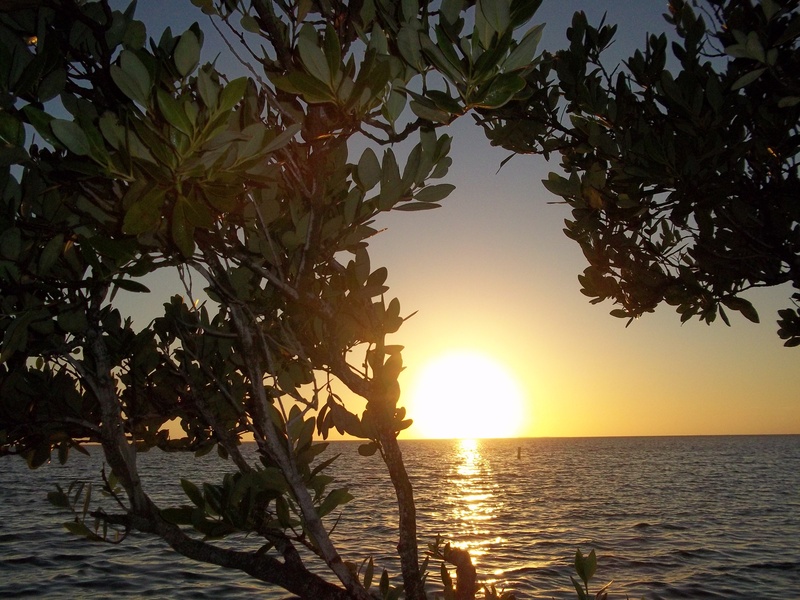 During the course of our studies, Francisca had to make a trip to Puerto Rico for a few weeks. I gave her the rest of the study guides to work on while she was away. I forget exactly how many, but there were a lot, like over 15 or more. When she returned she had them all completed! I was so excited I had to take the pictrure above. Julio was baptized today with his mother and grandmother. During the Bible studies we were having with his family, Julio told me he wanted to be baptized too. A few years ago, I studied with Lauren before her baptism. A couple years ago, Lauren was in my Bible chain referencing class. As Julio prepared for baptism Lauren helped me give Julio Bible studies. 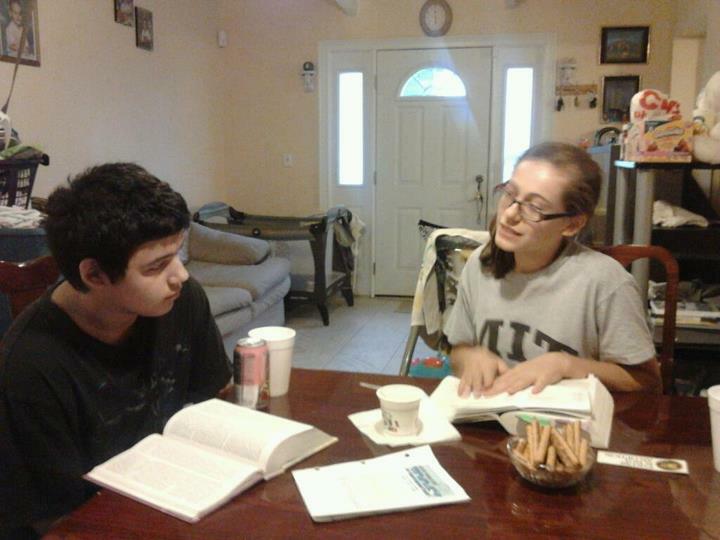 In this picture Lauren and Julio are studying about baptism. I was suppose to help too, but Lauren was doing such a good job, I just sat there and ate pretzels while she taught. Julio enjoyed his baptism studies so much that he is now doing the advanced set of guides. 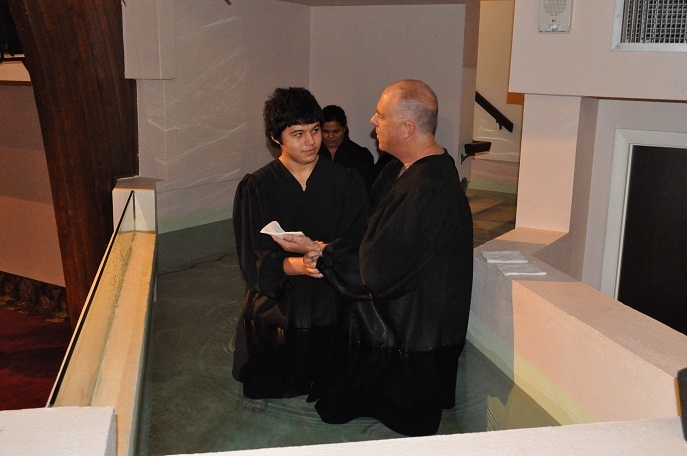 Not only has Julio been baptized, but this is his first year at Tampa Adventist Academy. I am now coaching Julio and Lauren, as they are conducting a Bible study growth group after school on Wednesdays. 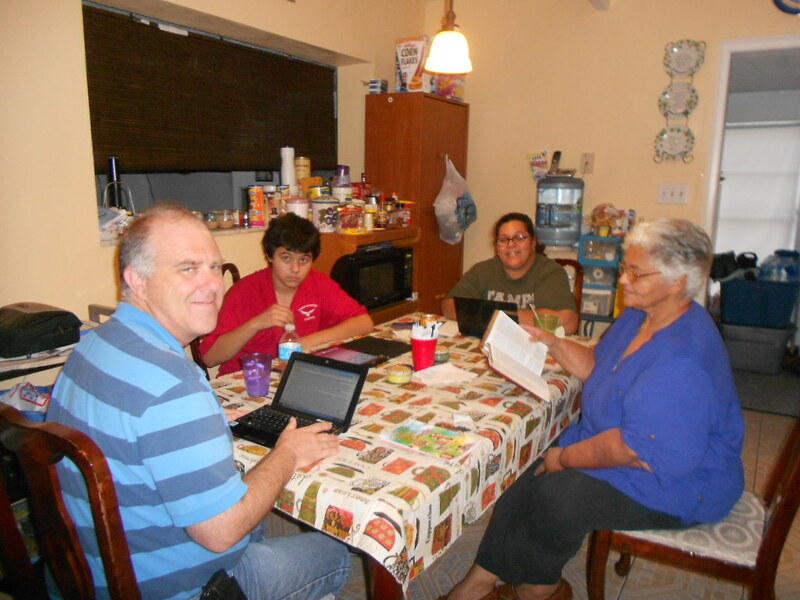 Here we are going over the baptism vows with Julio, his mother Cindy, and grandmother Francisca. Since beginning these studies, Cindy has invited both her sisters to join us, and we are now studying with them every week too! Cindy is now enrolling to an online university to study theology. She would like to work as a prison chaplain. 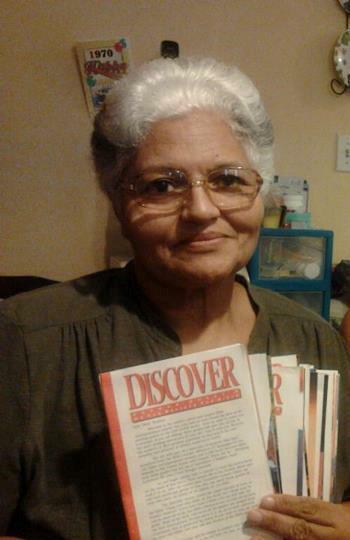 I met Marlice several years ago, when she first attended my Seeker’s Sabbath School class. Later, her husband Ray started attending too. Not too long ago, my friends Barbara and Betty told me Ray and Marlice had mentioned to them that they would like to become members of Tampa First. Immediately we began studying for baptism. It was fun being able to spend more time with them outside of Sabbath School, as we had weekly personal Bible studies. While we went over the baptism vows, Lauren stood with Julio and his family that she has been studying with. 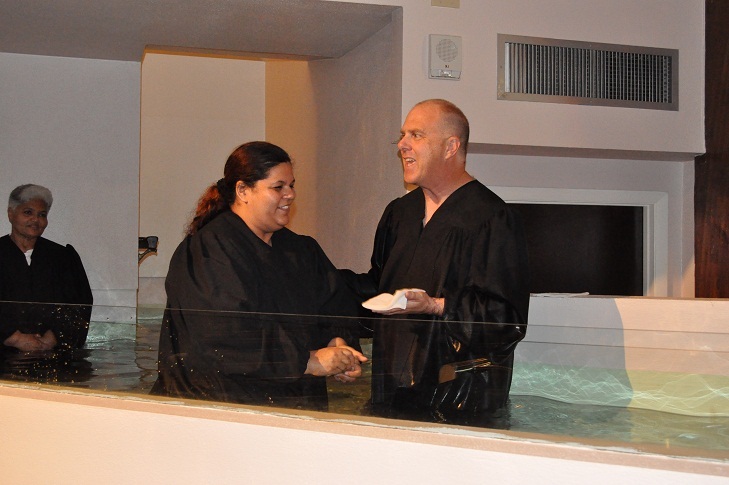 Marlice, who joined our church on profession faith, stood with Ray as he was baptized. After the church service, both of them joined the meeting to help feed the homeless. 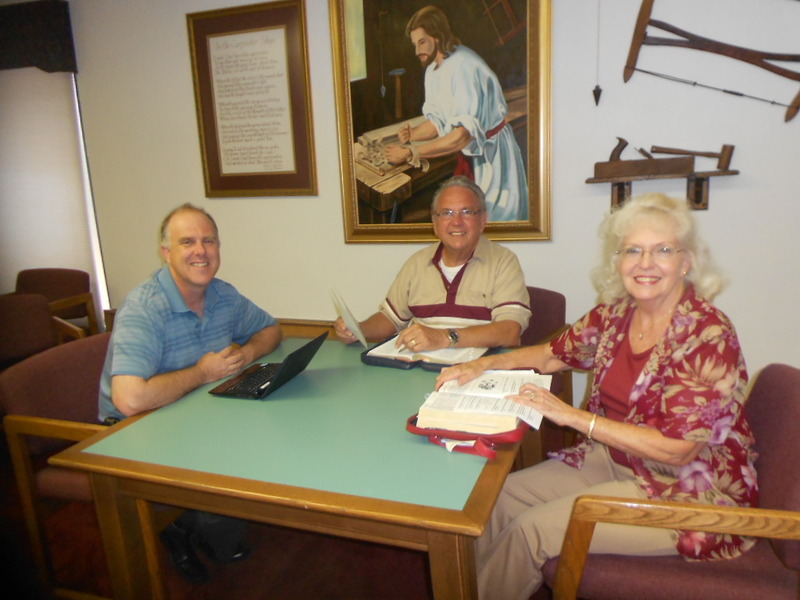 Ray is also becoming active in our men’s ministry, and is joining a men’s Bible study on Thursday nights. I will contine studying with Cindy, as both of her sisters have now joined our study! 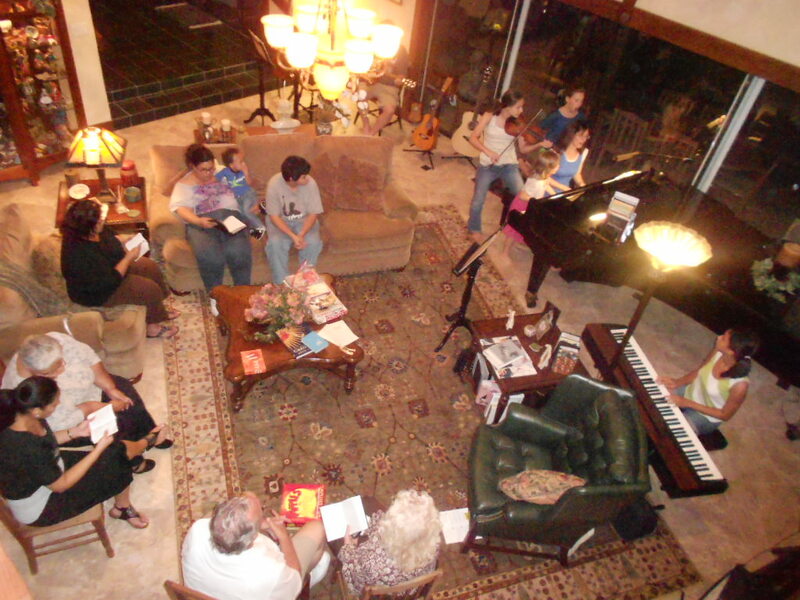 This evening, our new church family members and I gathered at David and Sondra’s home. They are Lauren’s parents. We celebrated the baptism with a nice dinner, then closed out the Sabbath with family worship. After that we played games and had fun fellowshiping together. ← Previous Post What Does it Mean To Live Like A Seventh-day Adventist? love it! there is nothing more special than seeing lives changed by the gospel of Jesus Christ! 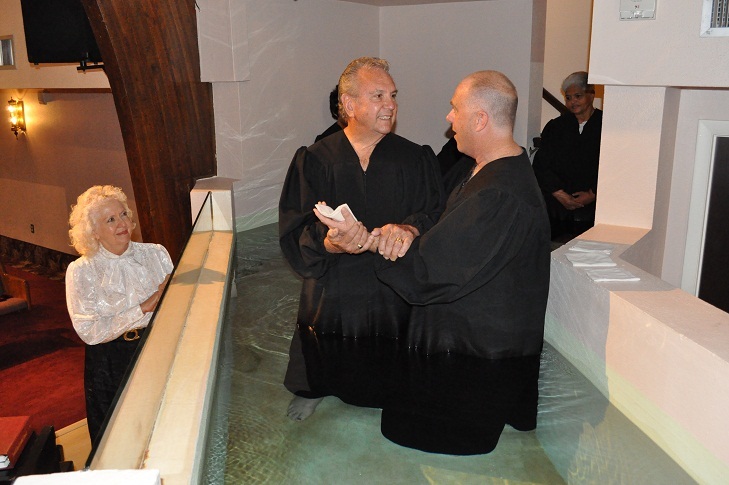 Thank you, William, Wish I could have been present for the baptisms, esp. seeing Ray baptized and Marlice coming in again. PTL for each of them, and Lauren’s faith and love. I got to share in it thru these precious photos and your words of encouragement/their own testimonies. I am rejoicing in God for this.